The Druze religion is a very ancient religion that is proven in the Bible and the New Testament. It started from the days of Jethro, the priest of Median in the Bible. At that period of time, the religion consisted of tribes and united ethnic groups. It wasn’t a religion that emerged of the boundaries of the tribe or ethnic group because every group adopted a unique number of goddesses and idols that they used to pray to. Everybody respected the people’s willingness to pray to whatever goddess that they wished. The Prophet Jethro, which is considered the first prophet, brought the words of God to his people. Jethro was the first of a number of prophets who brought the words of the lord to his people. The miracles that happened during the Exodus to the Jewish people occurred while Jethro was the figure that guided and directed Moses, who did the actions that became the miracles that saved the Jewish people. For example, the Prophet Jethro advised Moses to hit the Red Sea and therefore, the Red Sea split. He also told Moses to hit the rock and then water came from the rock. He also advised Moses to have officers and judges that were able to take over what happened in the tribes. This was the foundation of law, authority and democracy to the present all over the world. These actions led to the Israelis receiving the Torah at Mount Sinai by believing in Moses. The history that relates to the Druze faith contain a lot of facts that deny its foundations because most of the historians that wrote about the Druze religion were Muslim. Also, historical sources from Western countries relied upon those sources and as we know, Islam never recognized the Druze faith as a separate faith and considered them a section of Islam, which went out of it, which is actually the semi-truth and not the whole truth. This is how the believers (Al Muwahhidun) entered Islam while keeping the principles of their faith. But the Prophet of Islam did not agree with their original name and changed it to the name the sons of mercy (the sons of Ma’arof) for the Muslims believed that the term believers (Al Muwahhidun) should be unique to Islam. This is how it was kept until the 11th century, when the fight over the Caliphate heirs and the separation of the Shia from the Sunni section of Islam provided the Druze with an opportunity to leave Islam and to come back to their own principles and faith. Since the dividing of the Shia from the Sunni referred to all the sections that belonged to the Shia, the Druze are considered to be part of the Shia sect but they never had a religious bond with the Shia. 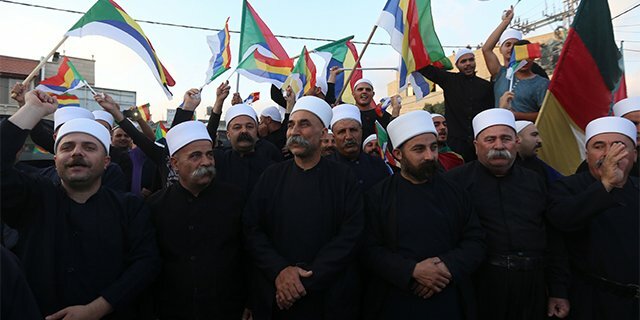 For the Druze people, the name Druze is a mockery name that was attached to the Druze people but their real name is the Al Al Muwahhidun, the believers, those who believe in one God. After they came back to the principles of the religion, the areas with a majority of Druze actually came about in order to convince people to come back to their own original faith and also to join new tribes to the Druze faith. They wanted to live together as a community. But when the messengers decided upon that mission was chosen, the military leader Nashtakin Al Darazi, who parted ways with the religious establishment, was very upset and claimed that this is an insult to send people that are lower than him on such an important mission. Since he did not accept the decision of the separation of the authorities, he decided to divide and to take whoever wants to join him. In order to survive, he started to attack tribes in order to take their belongings and this is how he was surviving. This person spread fear among the tribes. In the beginning, the Muslims blamed the whole Ma’arof people (the Druze) since he is part of the Druze people to begin with. But afterwards, it was known that he was divided from the Druze and because of his cruelty, everyone started to call the people Druze after his name. By the years, the name of this people became to be Druze. In the beginning, it was a great insult to call the son of the Ma’arof Druze but now it has become so common that there is no need to get offended and to cause great chaos over nothing. Also, the name cannot change the nobility of a people who remain leaders until the present. Until today, after all of the rivalries and despite all of the ethnic cleansing, the believers managed to survive but also today, the Druze people are a minority where the threat of annihilation is still upon them more than any other ethnic group. As for the separation from the Ma’arof people from Islam, resulting in the people coming back to their own principles and faith (Al Tuchaid), that action made the Muslims very upset and they chased after them in order to annihilate them. This is why the believers (Al Muwahhidun) moved to live in the mountains, which is a strategic place in which they can defend themselves from Muslims attacks. In the hill and the mountains, they have the natural surroundings that make it difficult for the Muslims to destroy them over there. Until the present, the Druze live on the Carmel Mountains, the Galilee Mountains, the Golan Heights, the Lebanon Mountains and the Houran Mountains in Syria. Until today, they have a unique lifestyle and traditions that they hide in order to avoid a clash among the other populations that surround them. 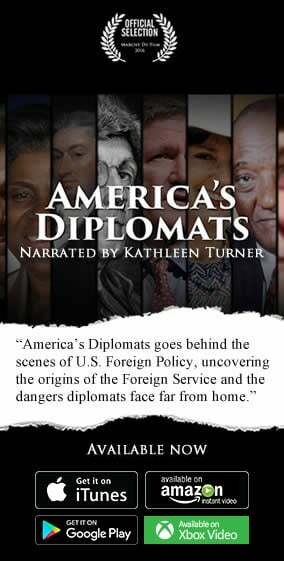 Written by Mendi Safadi, who has formerly served as Israeli Minister Ayoob Kara’s chief of staff and presently heads the Safadi Center for International Diplomacy, Research, Public Relations and Human Rights.